I decided to pick up a biofeedback device to capture heart rate data during meditation in order to measure trends, and see how that data compares to other data already captured by my Fitbit One (which I use to capture exercise time/intensity, sleep time/effectiveness, etc.). After looking around a bit online, I decided to get an EmWave2. It’s small (about the size of an iPod) and portable, with fairly robust desktop software to view detailed data and trends. The EmWave2 seemed like an easy way to capture heart rate data and the desktop tool showing average heart rate, session time (length), coherence… wait, what? What’s coherence? Then, the EmWave2 displays a cascade of steadily rising and falling lights that you focus on – your goal is to match the rhythm of your breath to the light display. When your heart rate closely matches the light display rhythm, you’ll hear a soft tone (indicating you’re in the “blue zone”). When your breath optimally matches the light display, you’ll hear another, lower tone (indicating “green zone”). If there’s a significant disparity between your breathing pattern and the light sensor, you won’t hear any tones at all. Once your breathing pattern optimally matches the light display for several seconds, you’ll hear a series of gentle tones – similar to the “level up” sound during video games but less frenetic. I found that when I matched the “green zone” (optimal) level for an extended period of time, I experienced an intense relaxation response similar to meditation. Using the EmWave2 is fun and based on my testing, an effective way to invoke relaxation. Having to concurrently watch the light pattern and monitor your breath doesn’t require effort, but rather a level of focus similar to meditation (notice a trend here? ). As you can see from the bar chart above, I tested different approaches for using the EmWave2: Playing the bundled desktop EmWave games, or just using the portable EmWave2 device by itself… watching the lights and monitoring my breathing as outlined above. I found that using the EmWave2 on its own was the easiest and most effective way to quickly enter a more emotionally relaxed state in just 5 minutes (although I prefer using it for 10 minutes or so, to extend the intense sense of relaxation). In the bar chart above, those bars with the largest green area were when I used the EmWave2 by itself (vs using with the desktop software). One note: The EmWave desktop games have a dated feel. While the monitoring software works well, I felt the whole desktop software suite could use an update to provide a more up-to-date “look & feel,” navigation, etc. 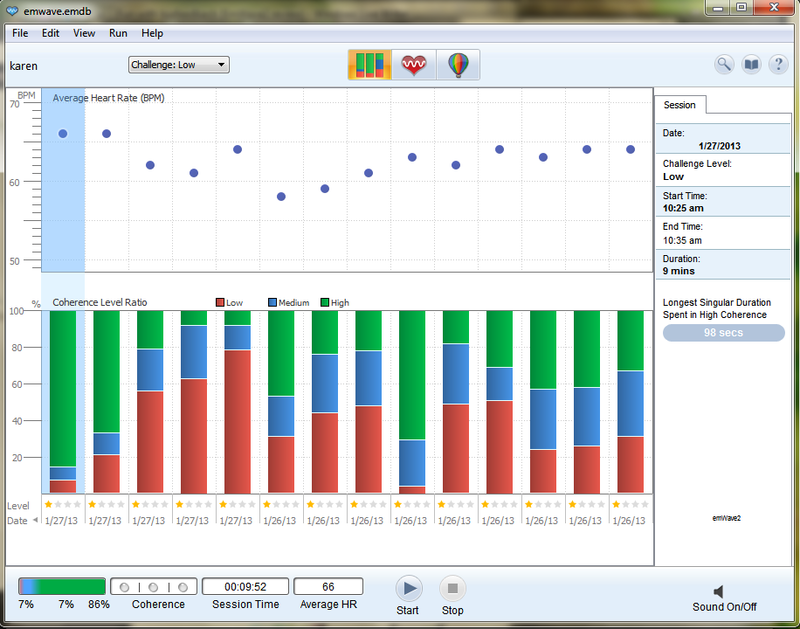 Nonetheless, the monitoring software does provide an effective way to view your session data (for an individual session, and via the bar chart, over time). 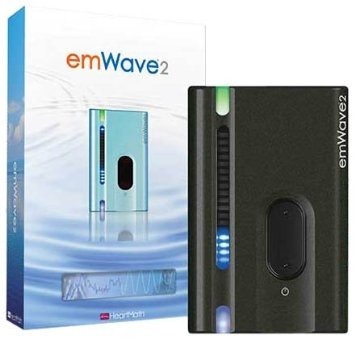 The EmWave2 isn’t necessarily cheap (currently about $170 on Amazon.com). However, for folks who want the benefits of meditation but find it challenging to “get in the zone,” the EmWave2 is an easy (and easy to learn) way to elicit the relaxation response. I enjoyed this brief (10 minute) video about the benefits of meditation and mindfulness.